Our kids adore playing outside, even in the winter when the weathers is colder. Some days, however, temperatures drop and wind picks up until even our little snow lovers can’t stay out for very long. That’s when they come in and start asking what kinds of crafts we have the supplies for! We’re very lucky that our kids have grown to love DIY and crafting just as much as we do, so we always try to keep some fun ideas on hand, especially when the weather gets extreme. Themed projects go over particularly well, so we’ve been keeping our eyes peeled for awesome winter crafts that will make them at least feel like they’re enjoying the snow, even when they can’t. Just in case you love the idea of collecting and bookmarking winter craft ideas for your kids just as much as we did, if not more, here are 15 of the cutest and simplest ideas and tutorials we’ve come across so far in our search for easy inspiration! Have your little ones always been fans of simple drawing and colouring projects? Well, ours are obsessed with their crayons and coloured pencils as well, so we can’t say we’re surprised. 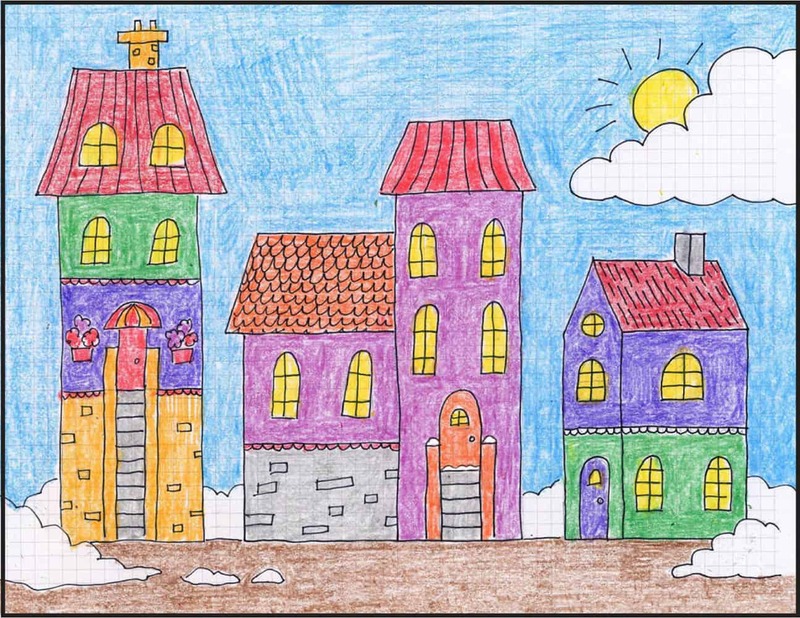 That’s why we thought this adorable grid paper drawing idea that shows your kids how to make a wintery town was such a good idea! Get the full instructions for piecing it together on Art Projects For Kids. Are your kids actually such avid winter lovers that you can practically see them missing the snow on days when it’s simply much too cold for them to play outside for very long? 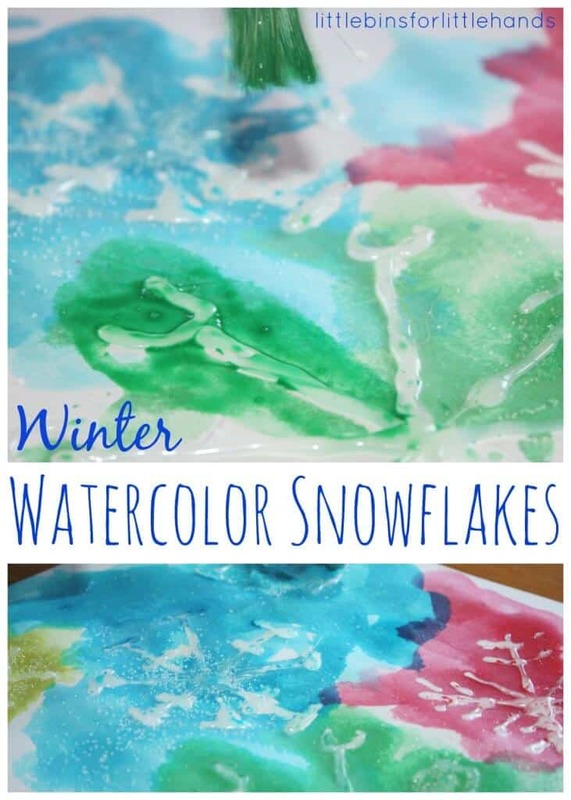 In that case, we have a feeling snowflake themed crafts will be a big hit in your house! 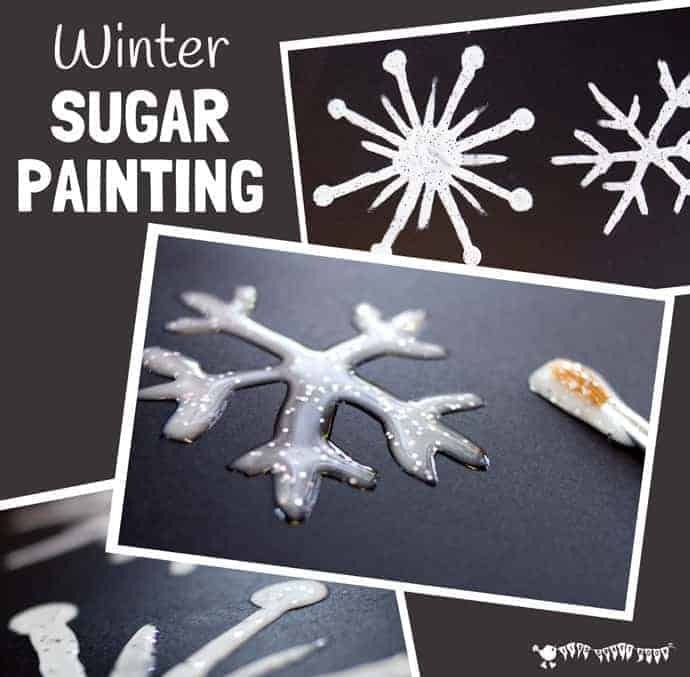 Check out how Kids’ Craft Room made that a little extra fun and creative by making these fun winter sugar paintings. Perhaps your kids are actually big lovers of paper crafts that involve mostly simple cut and paint techniques? Those have always been big hits in our house as well because even the littlest kids and can do it all mostly by themselves. 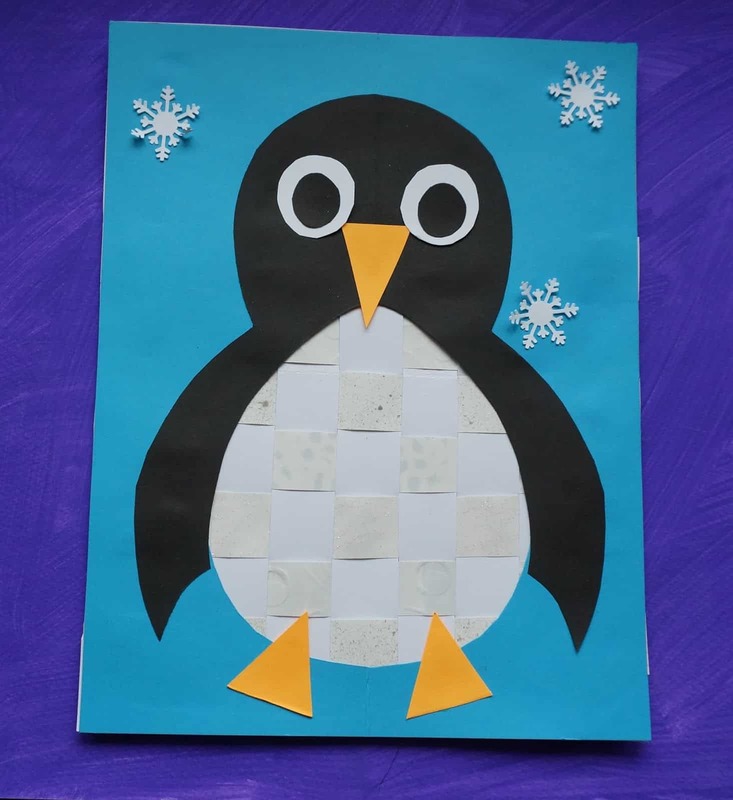 That’s why we thought this adorable penguin with its paper woven tummy was a great last minute craft idea to bookmark. Get the full instructions on That Artist Woman. Were you quite intrigued by the idea of simple paper crafts when we started talking about those because they are so easy to keep the supplies on hand for but you think your kids would rather make one that has some kind of extra messy quality? 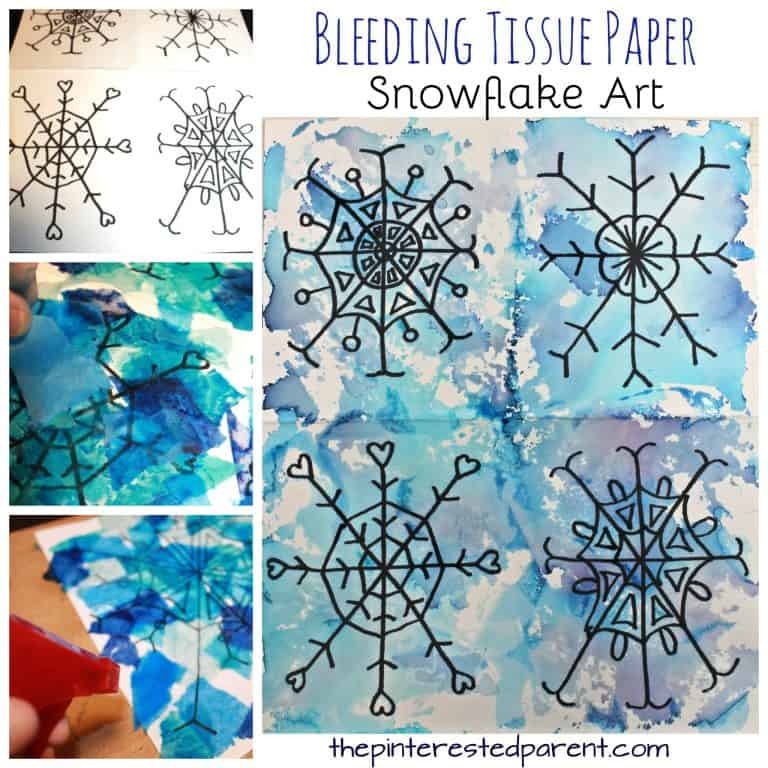 Then we’d definitely suggest taking a look at the way The Pinterested Parent made these super fun water colour looking snowflakes that are made using the bleeding colour qualities of tissue paper! If you’re going to stash some crafting supplies around the house for winter, would you rather take that opportunity to make some of the projects you bookmark into upcycling opportunities? In that case, we’d definitely suggest taking a look at how East Coast Mommy made these adorable little snowmen from an old pair of socks! Our kids really do get a kick out of making these on days when the weather is too cold for them to go out and make actual snowmen in the yard. Have you been trying to teach your little kids the wonders of paints and watercolours lately, so you’d always open for fun new painting crafts that have a little extra something to them? In that case, we’d absolutely suggest taking a look at how Little Bins, Little Hands made watercolour paintings that feature standout snowflakes made from hot glue that resists the paint. Have your kids always been totally obsessed with glitter and enthusiastic to use it at any chance? Well, ours adore it too, so we can understand that! 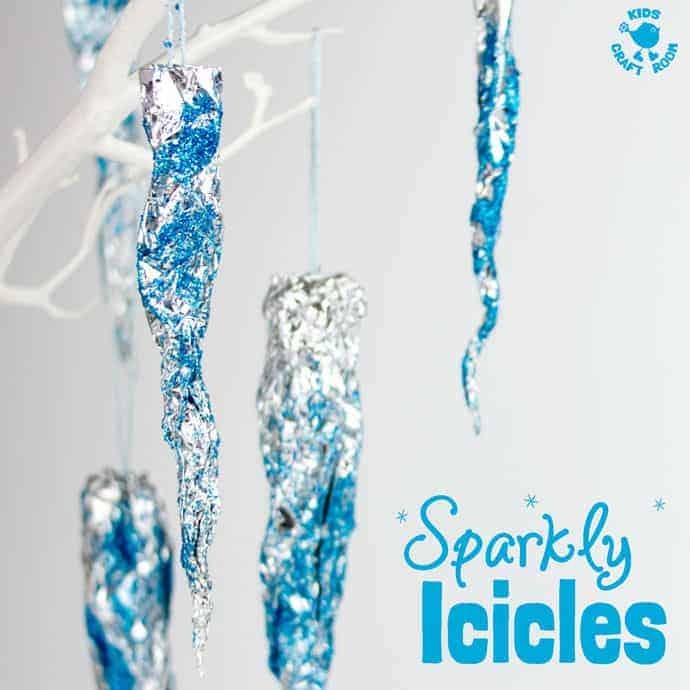 We’re always bookmarking new craft ideas that will let our kids get creative with as many sparkles as possible so we’re sure you can understand why we were so happy to find these lovely, glittery icicles made of tinfoil. See how they’re made in full on Kids’ Craft Room! Just in case you’re still looking for a craft that involves glitter but you wouldn’t mind combining some of the other fun elements you’ve seen on our list so far too, here’s another idea from Glued to My Crafts that gives you all kinds of techniques in one place! 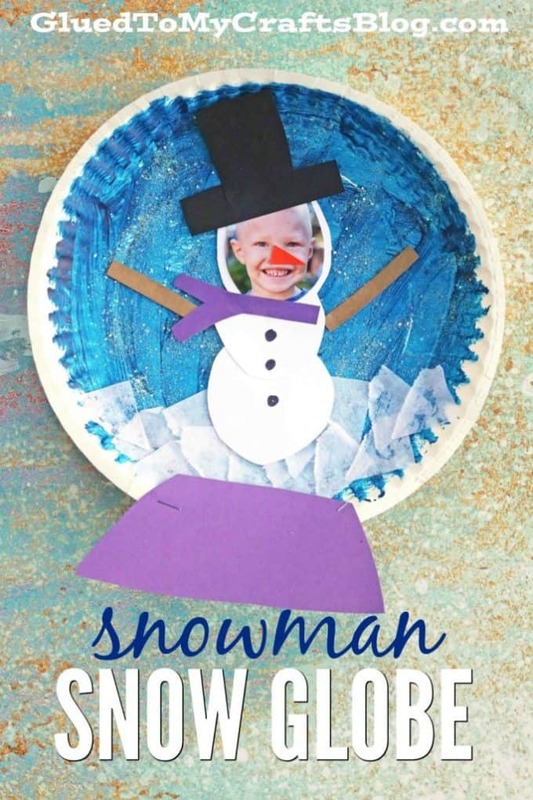 Check out their tutorial to see how they made this paper plate and photo “snow globe” where you turn yourself into a snowman and sprinkle glitter around your new self like falling snow. Have your kids hopped on the super fun and nearly addictive slime trend just as hard as all their friends have? We know ours have certainly fallen in love with it! 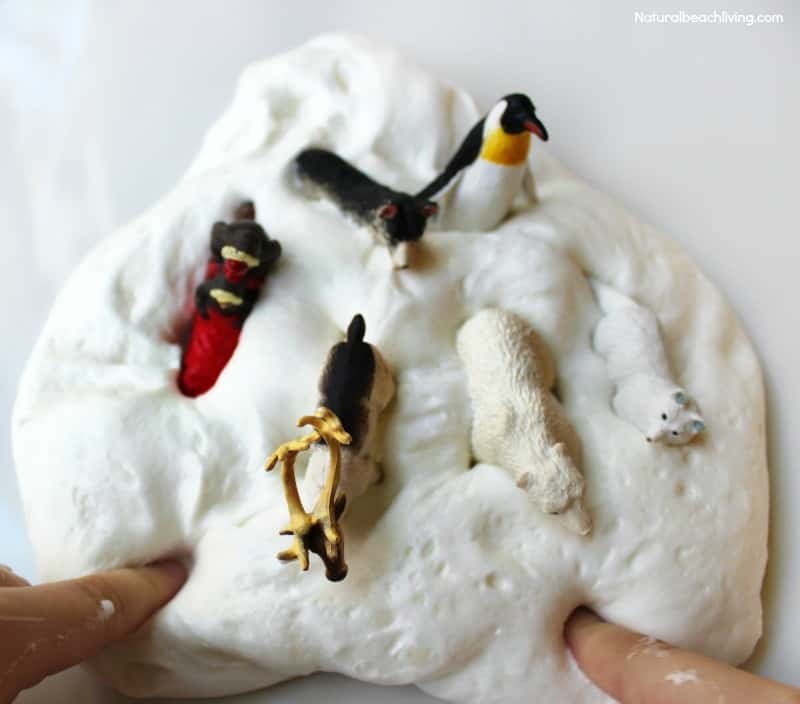 Rather than just making any old slime, however, we love the idea of making this pure white and extra squishy snow slime outlined step by step on Natural Beach Living. Are you still thinking about how much you loved the idea of doing painting crafts on a cold afternoon, but you’re also still interested in collecting as many unique ideas that have a slight twist to them? 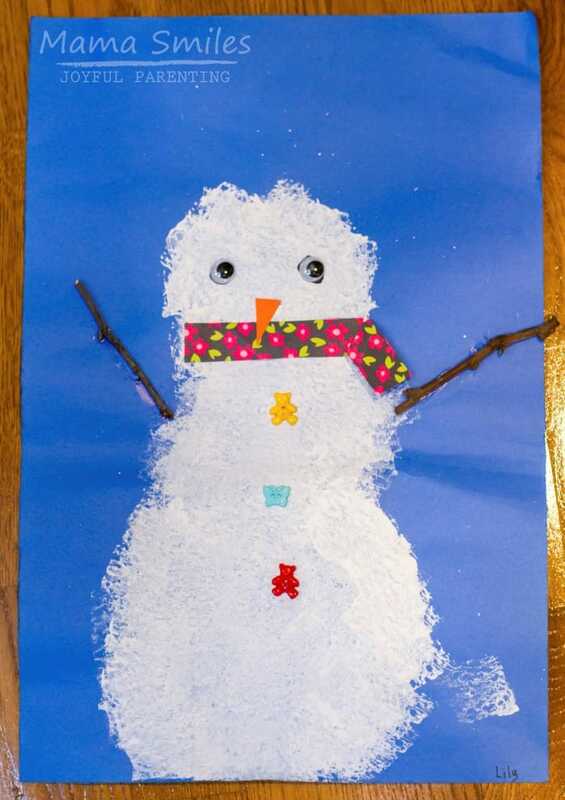 Then grab your sponges and check out how Mama Smiles made this adorable snowman painting that uses the texture of the sponge to look a little more like actual packed together snow than a regular brush stroke would. Are your kids at that particular age where they adore playing with their food so you’ve had your eyes peeled for food based crafts? Well, believe it or not, there are more things along those lines that you can make yourself than just dried pasta crafts! Instead, keep things wintery by checking out how Kara Carrero made some funny stacked snowmen by using squishy jumbo marshmallows like stamps. Are you actually still thinking about how much you loved the idea of helping your kids craft with tissue paper but you’re just not sure you want to get into the ideas that involve making the colour bleed because your kids are very small and very messy when they get artistic? Then perhaps you’d prefer to stick with a simple cut and paste project! 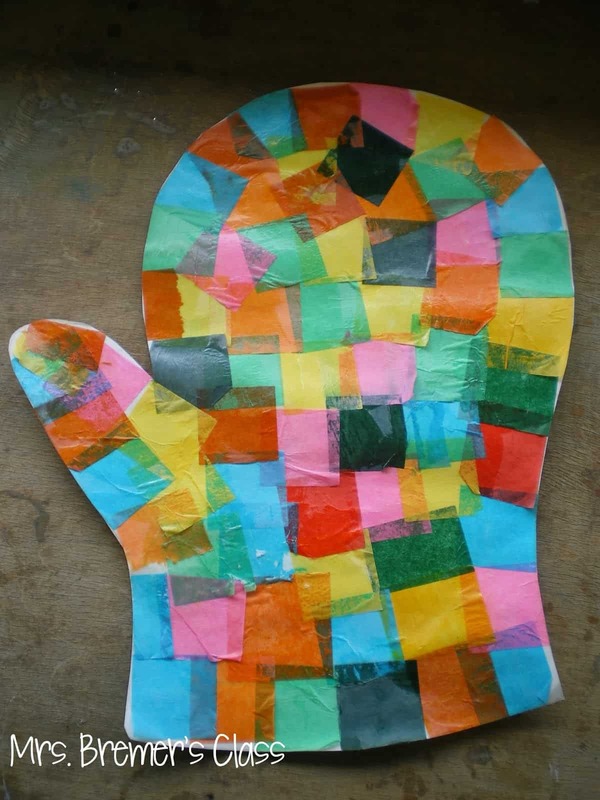 We like the patchwork effect of the way Mrs. Bremer’s Class added colour to a mitten shape using tissue paper squares. 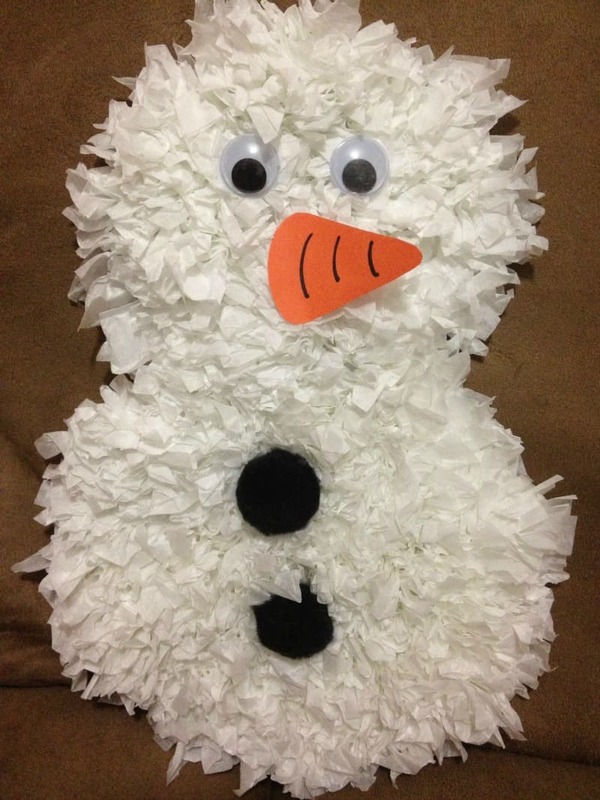 Just in case you ever find yourself in a bind where you’re low on craft supplies and your kids are restless from being stuck inside but the weather is simply too bad to go to the store, here’s a classic craft that kids have been making every winter for generations! KiddyPop shows you step by step how to make different cuts to create fantastic paper snowflakes to hang all around the house like it’s snowing beautifully inside too, but without the chill. Have we really caught your attention with words like “tissue paper” and “texture” but you still just haven’t seen any ideas that that really kept your attention? In that case, we’d definitely suggest taking a look at this super fun snowman cut and paste idea from Easy Crafts for Kids! 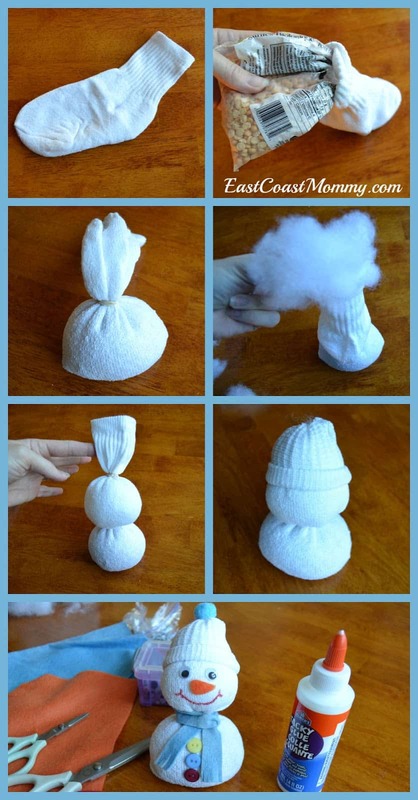 They show you how to make the fluffy winter character by twisting pieces of tissue paper before sticking them down. If you’re going to help your kids craft with paper in creative ways, would you prefer to get them practicing making shapes and structures, rather than just gluing things down flat? 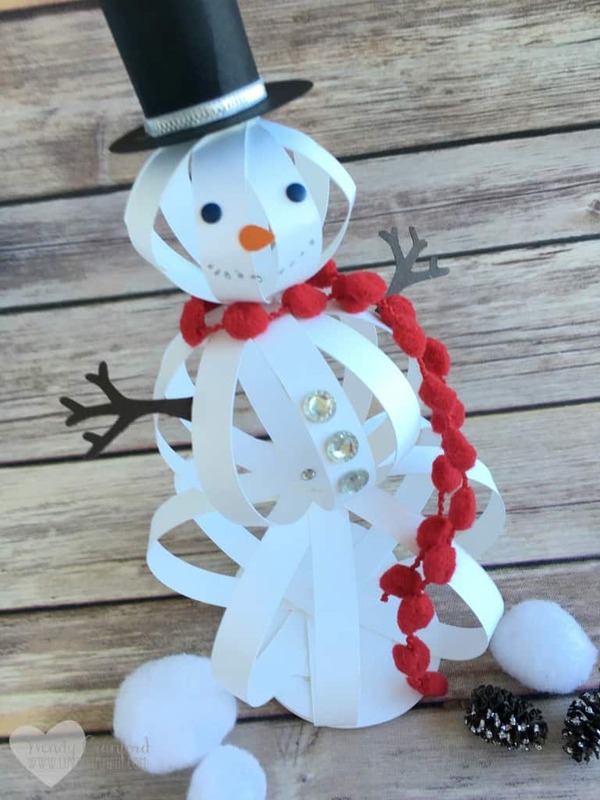 Then here’s yet another snowman craft (honestly, we have no complaints there) that shows them how to build shapes from paper strips! Get the full details for making it happen on The Crafty Blog Stalker. 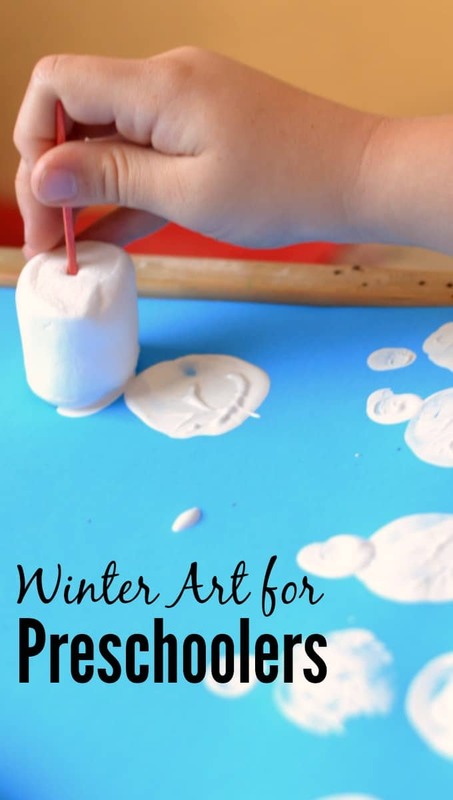 Have you made other kinds of awesome winter themed crafts and art projects with your kids before that you loved making but that you don’t see anywhere on our list? Tell us all about what you created and how you did it or link us to photos of your finished work in the comments section!